Fresh anchovy right out of the sea. Anchovy are plentiful, high in nutritional value, and delicious. Like any controversial figure, the mighty anchovy is a highly misunderstood food type and is deserving of an introduction and, if you will, defense! In the US, unfortunately, preserved anchovies have a bad reputation and are seen as a bad smelling (and overly salty) fish. The reputation, however, is undeserved and the tiny dynamo of a fish should be consumed with pleasure and as often as possible! 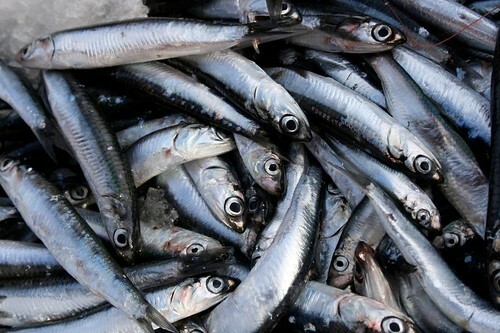 For most Italians, and especially the Italians of Southern Italy, the Acciughe (anchovies preserved in salt and/or olive oil) and alici (fresh anchovies) are a staple food. Anchovies are often eaten on toast with good olive oil (or butter), fried, baked, added to sauces, cured with lemon juice, etc. 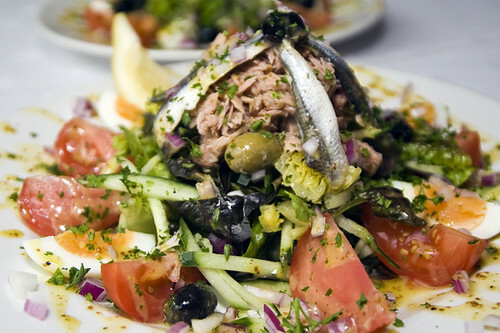 Anchovies are a wonder food and high in antioxidants and low in mercury. 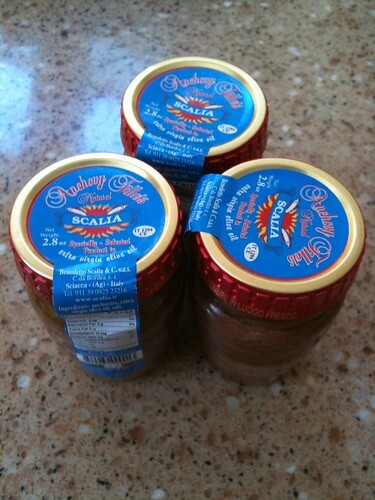 The best anchovies come from the Mediterranean (near Sicily) and the North Atlantic. You can find Anchovies packed in salt or olive oil or sold in good markets by the pound (fresh or salted, per the above picture). In Calabria, fresh, white, anchovies are often filleted and cured and/or marinated in lemon juice (click here for our recipe). I usually serve Anchovies in an impromptu weekend lunch, alongside a salad of tomatoes with basil and red onion, good bread, oil cured olives, and a bit of cheese and salumi (you could also include anchovies in a salad Nicoise). If you’re feeling particularly adventurous and want to de-head, gut, and remove backbones, you can deep fry a batch of fresh anchovies and let your significant other do the clean-up! Fried anchovies are particularly good with fresh lemon and a very cold glass of beer (lager) or white wine (here’s my post on fried sardines and smelts). Melissa Clark from the NY Times is featured in an excellent video tutorial entitled Anchovies 101.